Southern Style Customs buys, sells, consigns, and restores Corvettes, classics, hot rods, muscle cars, sports cars and entire collections. We know how lucrative a well-built classic car portfolio can be and we understand the value of meticulously restored vehicles. See what Yahoo Finance has to say about this. Our goal at Southern Style Customs is to continue to be one of the main portals for classic and custom cars across the world. We accomplish this by having integrity in the process, being meticulous in the fulfillment of our work, and maintaining professionalism throughout the entire process. We understand that car enthusiasts want to work with honest, knowledgeable people with a passion for cars. 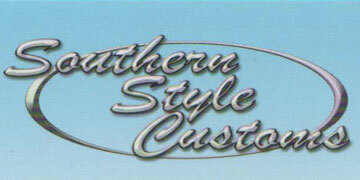 At Southern Style Customs we build and deal in world class vehicles that appreciate in value and are sold fairly and honestly. All of our vehicles are kept in an alarmed, indoor, climate controlled facility. They are detailed and maintained regularly to ensure they are in top condition. All build and restorations are done on-site. Our inventory is constantly changing. We will be happy to include you on our email update list so you will be the first to hear about our newest acquisitions. We can arrange to safely bring your vehicle home anywhere in the world! Our knowledgeable and committed sales staff has many years of experience and can answer all of your questions. Feel free to browse our inventory online, request more information about vehicles, check out our affiliate sales relationships, or set up an appointment to view the amazing car we will build for you! Whether you are buying your first classic car or adding to your world class collection, Southern Style Customs wants to be of service to you. We look forward to adding you to our long list of satisfied customers. Our cars are often available at major auction events throughout the country such as Mecum, Barrett-Jackson, and RMA so keep your eyes open for an auction near you!